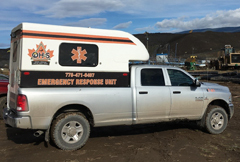 OH&S Safety Consulting and Training Solutions can provide you worksite with reliable and experienced first aid attendants and fully stocked mobile treatment centres and ETVs. We provide professional first aid attendant services for both short and long-term contracts. Not sure what you need to meet provincial requirements regarding levels of first aid? Call OH&S at 778-471-6407 and one of our representatives will be happy to assist you! OH&S Safety Consulting and Training Solutions also specializes in providing professional and reliable safety labour, confined space attendant (Hole Watch), Standby confined space rescue technicians, and high angle rope rescue techs. 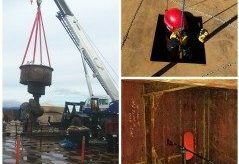 We also provide confined space labour for tank cleaning, maintenance, and shut-downs. We want to help you make your project run safely and smoothly. Contact one of our safety consultants to discuss your needs, or meet with us before you begin that next project. OH&S Safety Consulting and Training Solutions doesn’t just sell binders full of procedures and rules that just sit on a shelf. 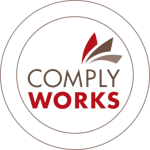 We work with our clients to build functional safety management systems. 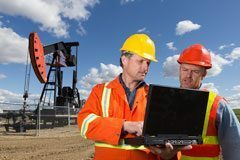 We firmly believe that Safety Programs need to evolve and change; these are living documents that must grow in step with the company in order to succeed. OH&S Safety Consulting and Training Solutions is a supplier of high quality safety equipment and supplies. We stock fall protection equipment such as lanyards, harnesses, carabiners, ropes, and rope-grabs. We carry all the first aid supplies you need to keep your first aid room or mobile treatment center fully stocked. We also carry many other types of safety equipment in our store, and if we do not have what you need in stock, we will happily order it in for you in as little as two business days! Our supplies are sold through our Kamloops and Langley office. Ask us about a safety equipment sales and rentals. 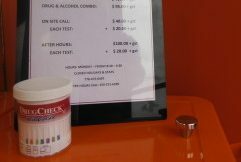 Drug and alcohol testing is becoming increasingly important as a preventative measure for health and safety management. This is why we offer this service to our clients at our Kamloops location at 825-J Laval Crescent. These courses are designed to provide participants with tools as an instructor to deliver the course materials to provide Gold Seal Certification to the participants. Instructing is a unique skill set and requires confidence, organization, subject knowledge and content. The Trainer provides insight on how adults learn, process, and use information. The course combines activities, participant presentations and knowledge verification. Ask us how you, your company or your training facility can become a member of this comprehensive program through our Train the Trainer Program. Contact OH&S Training Solutions at info@ohandscanada.ca or call us at 778.471.6407 today.